"Why resist? 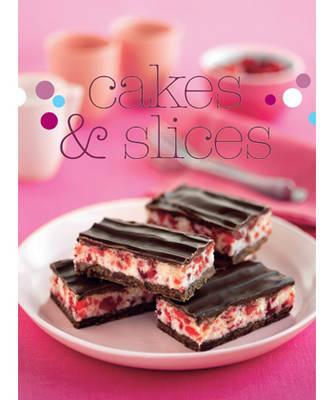 When your next sweet craving hits, turn to Cakes & Slices to find the perfect treat. With chapters full of options for light, rich, crumbly and sticky cakes, brownies, cupcakes, slices and tortes, you will never be stuck for a delectable delight. Whether it's seductively sweet caramel peach cake, some naughty but oh-so-nice double chocolate brownies or spiced pistachio, yoghurt and cardamom cake that's needed, you'll find it here. It will taste all the sweeter knowing you made it yourself."